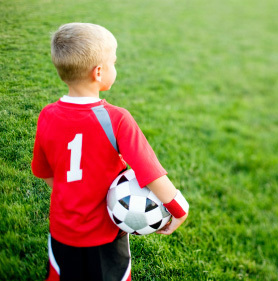 We receive many inquiries from parents either new to soccer or new to Pima County about how to get their child started in soccer and onto a team. As you will see, you must work with one of the many fine soccer clubs that operate in Pima County, not with the PCJSL organization itself. If you are interested in your child playing soccer in Pima County here are the steps you should follow. First, look at our page http://www.pcjsl.com/club-directory/ , or even the AYSA page http://www.usyouthsoccer.org/aboutus/FindaClub/?F_STATE=AZ where you will find out which clubs are operating in which area of town. You can also find web pages, email addresses and phone numbers for these clubs. Second, you should go to the web page of the different clubs you saw on the club directory and investigate where they practice, their history, their philosophies, etc. Third, reach out to the clubs you are interested in and determine which one is the right fit for you and your child. Lastly, pick one of those clubs and register your child directly with that club. Pima County Junior Soccer League (PCJSL) is the managing body for all soccer in Pima County. We are a sub organization of Arizona Youth Soccer which is a sub organization of US Youth Soccer. We do not have teams or players. All team and players fall under a club that is in our Club Directory. We hope this helps and have fun with Soccer!